Fourth Elm is thrilled to be working with AAA Storage. This is our second project with the AAA team. Check out the article in the Triad Business Journal for more info. One of the largest self-storage companies in the Triad continues to ride the wave of storage expansion with the opening of three more locations in the next three months. 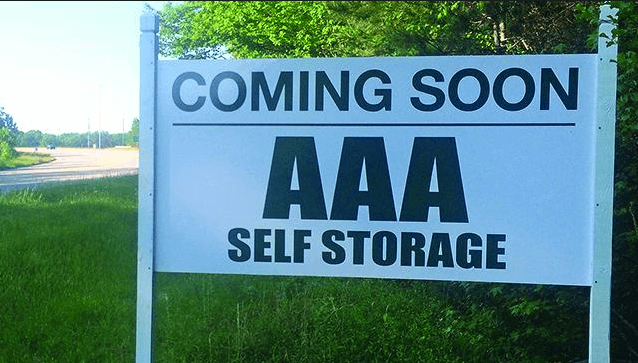 AAA Self Storage is adding locations in High Point, Kernersville and south Greensboro. General Manager Chad Hockaday said all three should be ready to open before the end of May. When all three are open AAA will have 18 locations – 17 in the Triad, the other in Columbia, S.C. Though the number of self-storage facilities has grown exponentially in recent years with major Triad developer Roy Carroll (Bee Safe Storage and Wine Cellar) entering the market and John Reece II pondering entry, Hockaday told Triad Business Journal that he believes the Triad still has underserved areas. The High Point location is at 2505 Eastchester Drive. The Kernersville location is off Union Cross Road on Jag Branch Road, just north of I-40. The south Greensboro location is on South Randleman Road, near the Walmart Supercenter on Elmsley Street. Fourth Elm Construction (formerly GEMCAP Construction) is the general contractor of the High Point and Kernersville facilities. AAA is filling that role on South Randleman. The building permit for the High Point location showed an estimated $2.8 million value. AAA estimated the Kernersville location to cost between $4 million and $4.5 million. Hockaday said he expected the order of opening would be Kernersville, south Greensboro, High Point. Hockaday said AAA had 11 locations when he started with the company, a family business headed by Cecil Little, and has grown rapidly despite selling off two small High Point facilities. AAA facilities vary depending on location. Hockaday said the majority offer both traditional units and climate-controlled – the growing trend – types of units. Hockaday said the Kernersville and High Point locations would be about 65,000 square feet with every unit climate-controlled. But the Randleman Road location would be about 40,000 square feet with both traditional and climate-controlled units.